Artists try to get a message and strong sense across to the people by way of creation of unique works – pictures, sculptures, plays. The audience’s aim is to guess the meaning of the sense. Sometimes this sense is not only a morality or a conclusion that should be taken into account but also a call for action and a plea for aid. Luminance installation in the urban and nature environment is one of the most popular forms of the modern street art. It is not only entertaining, beautiful and creative but also, as it turned out, very thoughtful. 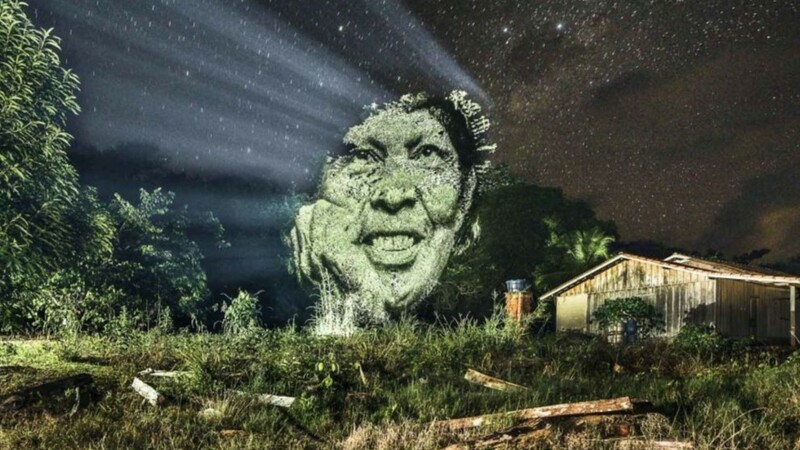 A photographer and an activist Philippe Echaroux is an author of a project called Street Art 2.0 aimed to turn attention of the world society to a distressful situation of Surua Indians living in Amazon jungles of Brazil. 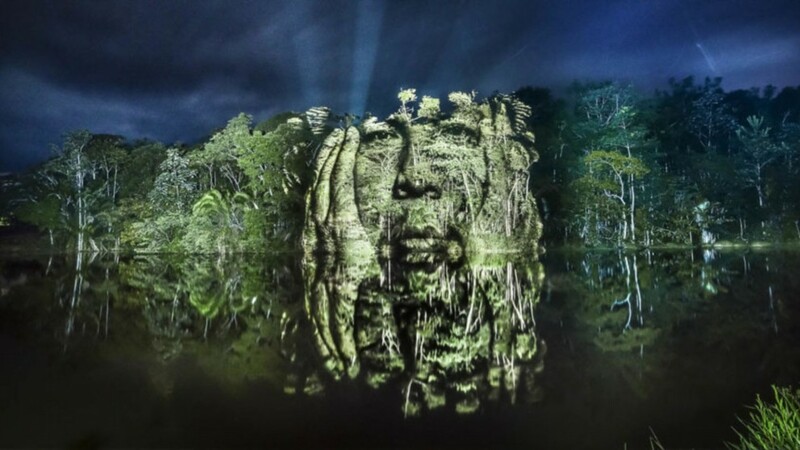 In order to get the idea across to general public the artists usually draw graffiti on the walls of houses and in an underground but Philippe Echaroux chose another way and instead of a canvas he used rain forests of Amazonia which became a background for luminance projections of Indians calling for help. Why did the Surua Indians became so popular? The fact is that an active deforestation and activity of gold diggers who intrude their lands searching precious metals threaten their lives. Street Art 2.0 was created at the request of the leader of the Surui tribe Almir Narayamoga with the hope to draw public attention to the problem. By the way, the activist Philippe Echaroux is not the first, who tries to use light projections to get a deep meaning across to the public. 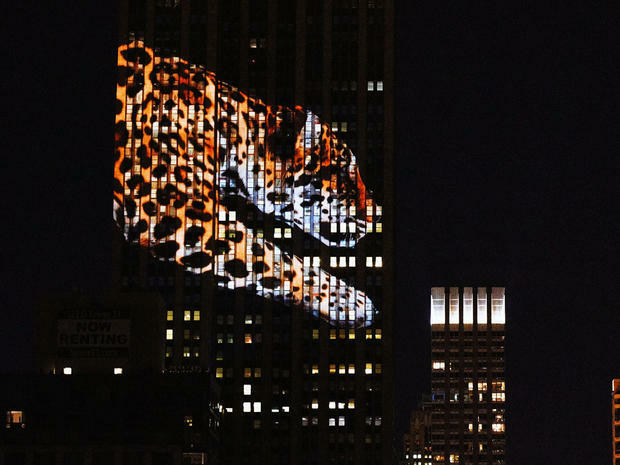 For example, last year huge light projections of animals that are at threat of extinction appeared on the south facade of the “Empire State Building” in New York. The project was intended to draw public attention to the problem of saving species on the planet and is dedicated to the Cecil lion, who was shot this year in July by an American dentist during a hunt in Zimbabwe. This event caused a great public outcry. 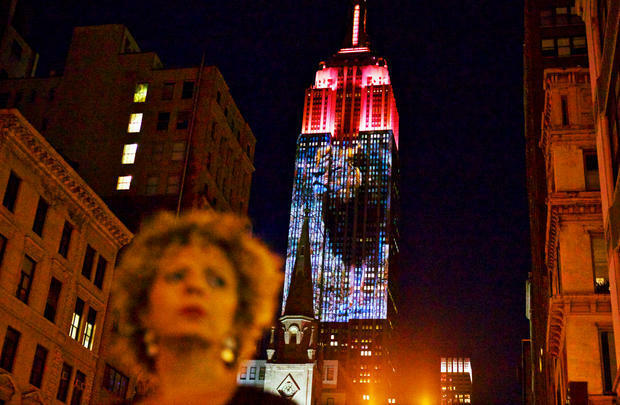 The project “Projecting Change: the Empire State Building” was implemented within the framework of the promotional campaign of the documentary film “Racing Extinction”. 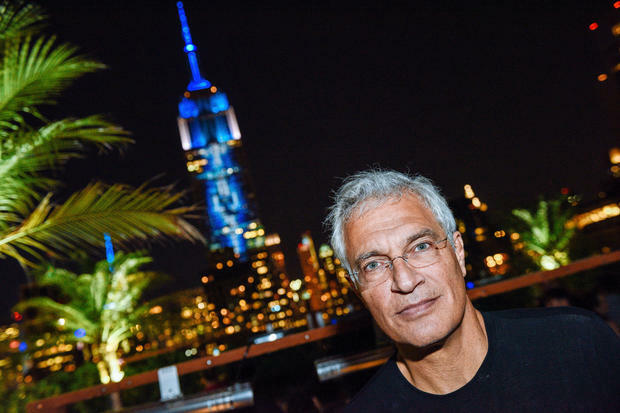 The film director of The Cove and the founder of Oceanic Preservation Society Louie Psihoyos, co-founder of multimedia company Obscura Digital Travis Threlkel as well as the actor and director Fisher Stevens. The projections made up of images, animations and kaleidoscopes were developed by Travis Threlkel who has recently worked on the lighting effects for the farewell concerts of Grateful Dead group. Works of National Geographic photographer Joel Sartore were used as a light projection. 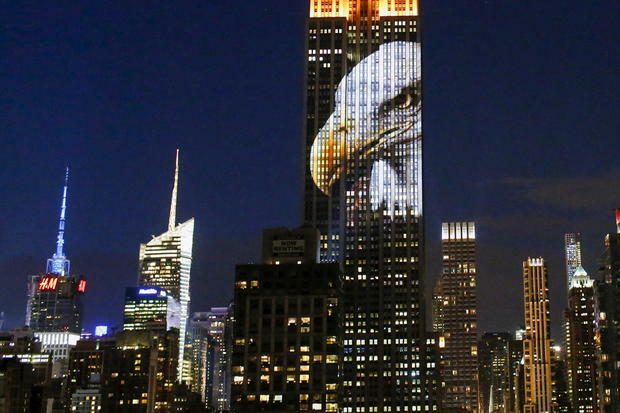 The images were projected onto the south facade of the “Empire State Building” starting from 9 p.m. August 1, 2015. On the roof of the building 114 x 56 meters in area on the 31st West Street 40 projectors with capacity of 20 thousand lumens were installed. During the evening more than 30 illustrated stories were told on the facade of the “Empire State Building”. Deep meaning and a plea for help for those who need it most is hidden in them, as in the project about Surua Indians.